A contemporary of St. Basil, St. Athanasius the Great, said of Jesus Christ coming in the flesh, “God became man that man may become God.” In other words, the goal of Christ becoming man is also the goal, the meaning, the purpose of humanity: to become like God. This has always been referred to as deification (partaking of God, see 2 Peter 1:4), or theosis (Vision of God). The Fathers taught this as they received it from the Apostles. We believe we retain the image of God (we do not hold to ‘original sin’), but we strive to attain the ‘likeness of God.’ And we can only do so as our souls are healed from the passions and sin. Some of which we are predisposed to from birth and background, what we refer to as ‘ancestral sin,’ and the others as the product of our free will. Therefore the goal of recovering the likeness of God (deification) is accomplished through the healing of our souls. Of dispelling the darkness of the passions in our souls with the healing light of Christ. His light of prayer, fasting and almsgiving through His body – the Church. All Scripture, theology, morality, sacraments, worship, charity we experience in and through the Church must be toward this end. There are among us some who, through lust of glory and that puffing up which is especially wont to destroy the souls of Christian men, have audaciously uttered certain novelties of expression with the result that the Churches have become like cracked pots and pans and have let in the inrush of heretical impurity. But do you, whom we love and long for, be to us as surgeons for the wounded, as trainers for the whole, healing the limb that is diseased, and anointing the limb that is sound for the service of the true religion. In other words, whatever is embraced by those who call themselves Christian that is not true (either in word or deed); whatever therapy they may have, their being Church, is compromised to that extent . . even though as a group it may be full of people and appear very successful. This is the warning Jesus gave to the Pharisees and to Judaism in Matthew 23; of being “whitewashed tombs:” clean (successful) on the outside but rotten on the inside. This can be true of any Christian group (Orthodox or otherwise) that does not hold to the truth, does not live the truth, and live for the truth of deification through the healing of souls. With this foundation of deification as the goal, and the healing of the soul as the means, I believe everything we do must work toward this end. Christ teaches us that the Church of God (this ark of salvation) will prevail even against the very gates of Hades. Even in this world it is unassailable and will always triumph in the end. Therefore, any rationale that is based on protecting the Church is misguided, as the Church clearly does not have to be protected or propagated. We do not protect the Church from heresy any more than we have to protect Christ from false teaching about him; the Church as salvation needs no protecting. It is the role of the Church rather to protect the people of the Church from heresy. We must focus on that which is eternal and can yet be harmed. And the only thing in the Church that is eternal and that can be harmed are the souls therein. The dogmas of the Church, like Scripture, are unassailable and don’t need protecting. Buildings, parishes, ministries and programs, will all end with time, but our souls will live eternally where time has ceased. . . Souls are the true buildings and programs and ministries that have to be cared for and have to be protected. It is for this reason the Fathers of the Church never acted to protect the Church, they were guided by what we refer to as a “soteriological motive.” That is, they were compelled to fight for the salvation, which they understood to be deification, of those within their care and all those who would come after them. They were protecting the people by safeguarding the healing of the Church that is in her dogma. That being the case, numbers and buildings and budgets and programs must also be toward that end. That is, they must have a therapeutic value to the people involved in them. Attendance at services, financial support, fasting, etc., must neither be an end in itself or done for the Church; rather, it must be personally and individually connected to that person’s healing. With this in mind, the priest, the rector and confessor of the parish, I believe, must always encourage participation in these areas only for the therapeutic purpose of the person’s healing. This said, a hospital is only as effective as it is accessible. The greatest physicians and facilities are only as helpful as the extent to which the sick can use them. It is my belief and experience that the single greatest mistake the modern Orthodox parish has made in America is the minimization and infrequency of the divine, therapeutic services of the Church. Orthodoxy literally means “right worship” because its worship contains everything the Church is, and as such, is the heart of its therapy. To that end my highest priority is providing the fullness and frequency of the services. . . keeping the doors of the hospital open and accessible as much as possible. It is imperative therefore the members of our Mission understand that they do not exist for the Mission but that the Mission exists for them. It is not what they can do for the Mission but what the Mission can do for them – specifically for the healing of their souls. To this end everything the Mission does should reflect this correct understanding. There are those who may come into the Mission with great enthusiasm, gifting and resources, but are weighed down by pride perhaps because of their success and the recognition they’ve always received. They will want to do more and give more – often things that need to be done and obtained. Typically they are appreciated and given free rein. However I believe they must be protected from themselves. They must be encouraged and allowed to do only that which is beneficial to the healing of their soul; even if it means not meeting the budget or having someone to lead singing or some other thing or service to the Mission they can provide. Likewise there may be some who are weighed down with indifference or fear, or who struggle with trusting God, who for the therapy and healing of their souls need to give and do more. Where the others were encouraged not to tithe or fast exactly as it is proscribed by the Church until it is profitable toward their healing, these are encouraged to do so to the full measure – for the continued healing of their souls. The reality is that all of us have aspects of both of these features. We are proud in some things and fearful and mistrustful in others. The point is, we must not be encouraged to do that which is needed by the Mission but that which is needed for the healing of our souls. By the same token, neither should we discourage involvement because it is not something the Mission needs. The budget and number of readers, choir members or altar servers, like everything else in the mission, isn’t based on the need, or lack of need, but on the therapy of the person’s soul. It is important to state this, and restate it often, because we don’t want people to be unnecessarily frustrated or create the wrong understanding (and therefore wrong expectation) of the Mission. If the typical understanding of mission and parish is utilized, where we exist to propagate and protect the mission, the decisions we make at St. Basil’s may not make sense. The Mission therefore may struggle financially even though there are many who could (and would) give enough to financially sustain it, but are discouraged from doing so because it would be therapeutically counter-productive to their healing process. Likewise there could be people gifted with music who are encouraged to refrain from leading the singing for the same reason. Or some with experience in the altar who are not serving for the same reason. And as noted it could also mean those with very little resources or gifting encouraged to give out of proportion with the others because they are spiritually ready to do so and therefore will benefit therapeutically from it. Again, assessing this from the typical mission and parish scenario will simply not make sense and lead to confusion at best, frustration and bitterness at worst. We are literally surrounded by Protestants that brought their form of Christianity to this land. Most of these groups espouse and use the Bible (the writings the Fathers compiled and gave to us), to guide them in theology, worship and practice. However without the Fathers to help them understand the Bible and without the Church of the Fathers to help them put it into practice and show them how to worship, they will to a greater or lesser extent be in sync with patristic, apostolic, biblical theology, worship and practice. And to the extent they are is the extent to which they will have an impact on the souls of their people and the community in general. I believe it is not for us to assess or judge them. But to appreciate them and respect them for being here first and the sacrifice that very often entailed. I believe we should work with them where we can (caring for the poor), and humbly excuse ourselves where we can’t (worshipping together). I believe we should take great care to welcome them (as we do any who join us in worship), but never intentionally attempt to win their members to the Orthodox Church. That whenever possible, those who God is drawing to the Church from their congregations will do so with the blessing of their pastors and priests. We must be blameless and above reproach. 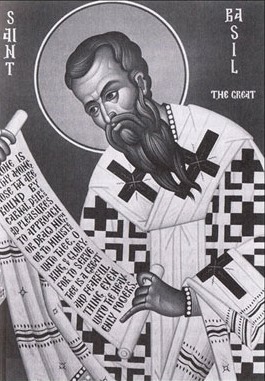 St. Arsenios of Cappadocia in the late 19th century threatened any of his flock with excommunication for interacting with the Protestant Missionaries who had come to their land for the express purpose of luring them to the Protestant faith from Orthodoxy. He didn’t understand their theology and practice and he didn’t need to – he knew any deviation from Orthodoxy would be detrimental to their souls. If there had historically been Protestants there, and the Missionaries had said they had come for them and any of the Orthodox that had the blessing to join them – that they were not there to proselytize the Orthodox but the unbelievers among them – he would have had no problem with them. Wouldn’t he say the same thing to us? Wouldn’t he remind us they were here first, and to respect them and not take from them without a blessing if possible? Wouldn’t he tell us to focus on the Orthodox, the unbelievers and the unchurched? I believe he would and I believe this is God’s will for our Mission. That is, the care of our own souls and then the care of others within our Mission, and then the care for the souls within our community God is drawing to us. I was encouraged by an ascetic hieromonk at the beginning of my studies in seminary to first and foremost concentrate on my conversion. I realize in the years since he gave this to me and I have striven to do it, that it is only in our own conversion (our own healing) that we can help others with their conversion – with their healing. And to the extent we do the one we will be entrusted with the awesome work of the other.